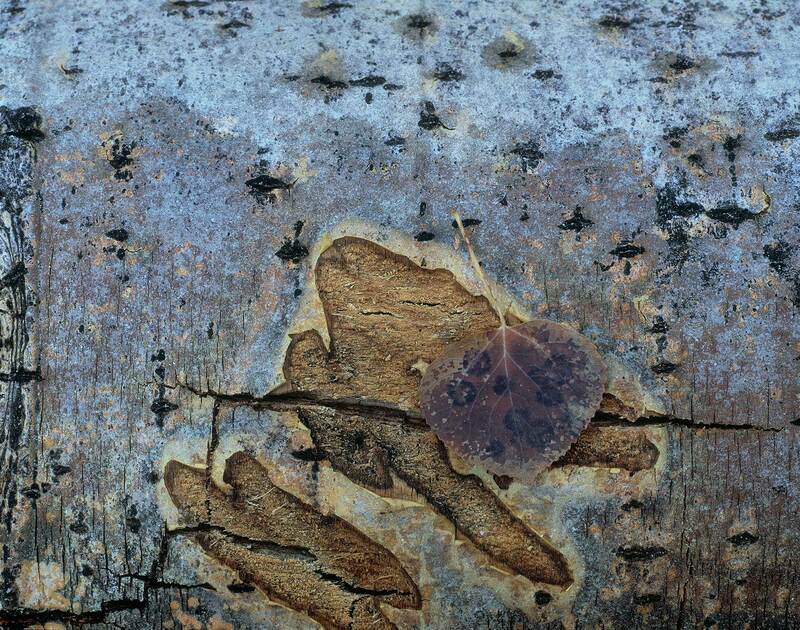 The painterly scar in the aspen bark was likely made by an elk,. who rub their antlers on trunks and bite off bark for nutrients. Photographing in the blue light of shade on an overcast day brings out the blue tones on the fallen aspen trunk.